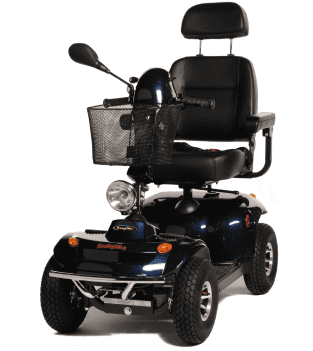 The Kensington mobility road scooter is a long range road cruiser, by being robust and hardwearing, but still remaining sleek and elegant. 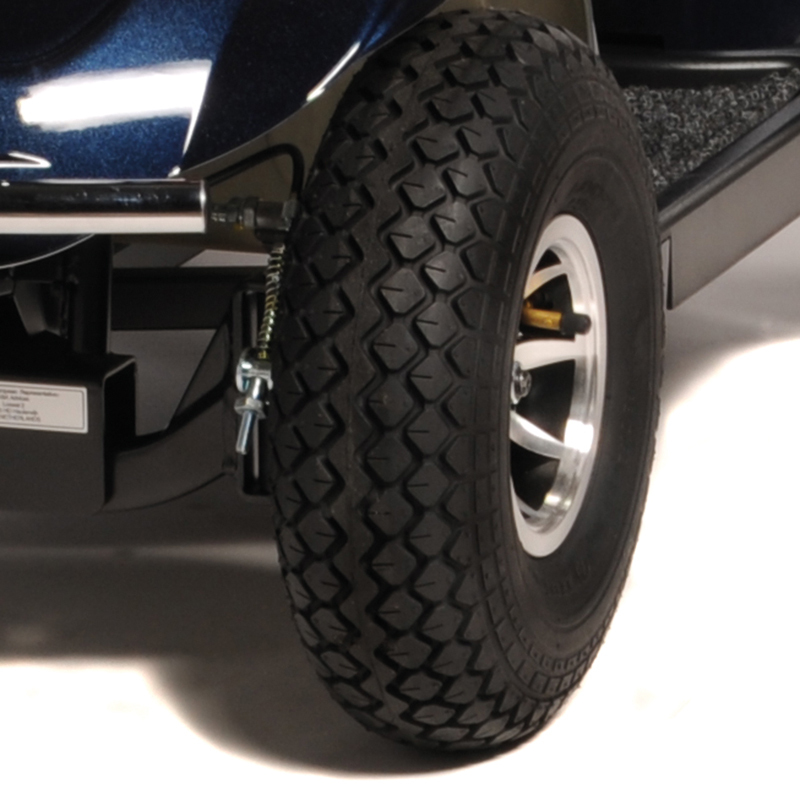 The Kensington includes 13” wheels, with 5” ground clearance and balanced suspension. 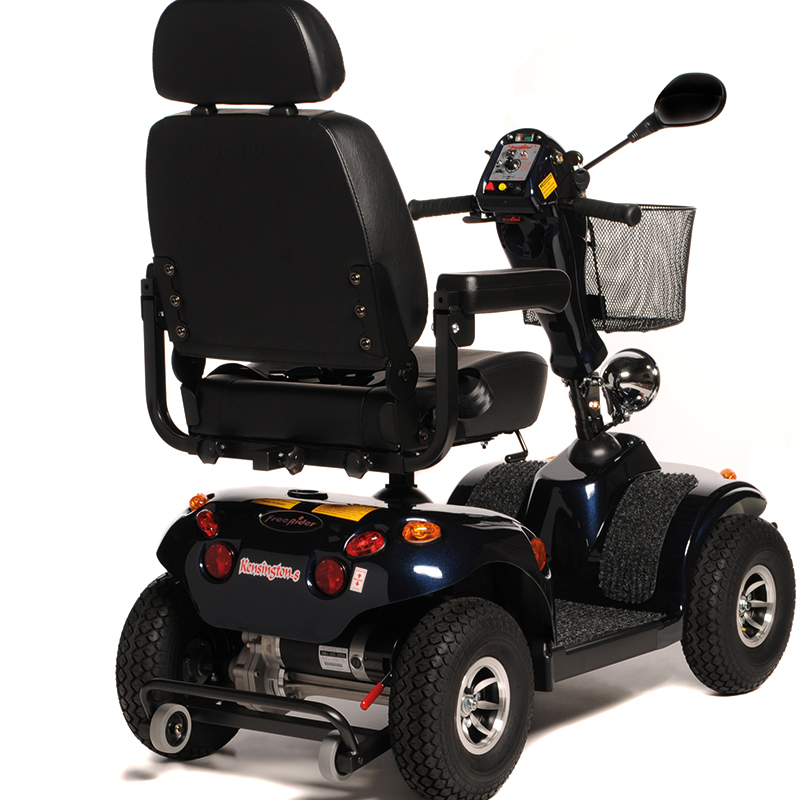 It has been designed to smooth out any bumps, by also giving you a smooth ride on the road or pavement. You will be able to feel safe with the Kensington, with simple controls, rear view mirror, front and rear lights and indicators. The Kensington also includes a long 55” base, padded captain’s seat and a generous carrying weight of 25 stones.